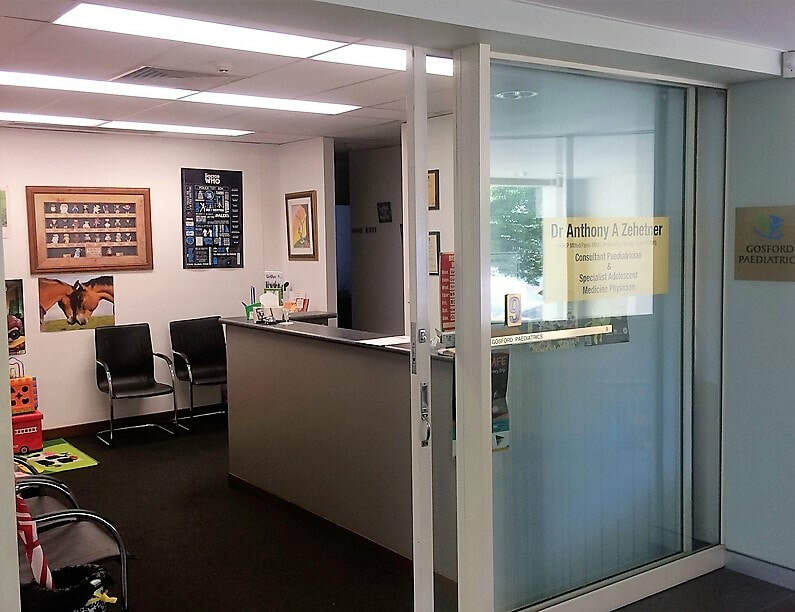 At Gosford Paediatrics, the private practice of paediatrician Dr Anthony Zehetner, we treat medical (physical) illnesses of babies, older children and teenagers. (Please note that Gosford Paediatrics is not affiliated with Gosford Public Hospital nor with any other paediatricians or health services). Please note that our practice will be closed from Sat 13 April until Wed 1 May 2019. We will reopen on Thurs 2 May 2019. Please see your General Practitioner (GP) should you require medical assistance during this time. The Royal Australasian College of Physicians (RACP) recognises Dr Anthony Zehetner as a subspecialist Physician in Adolescent and Young Adult Medicine (AYAM). He also has expertise in Attention-deficit Hyperactivity Disorder (ADHD) and manages general medical conditions such as diabetes, asthma, thyroid disorders, eczema and neonatal issues. Our newly renovated premises allows us to care for you in modern, comfortable surroundings. ​As a Specialist Adolescent and Young Adult Medicine Physician, Dr Anthony Zehetner presents the Teenagers and Alcohol section of the Raising Children Network Australian Parenting Website (see video above). ​Free parking across the road in the dedicated patients car park and an internal lift are provided for your convenience. 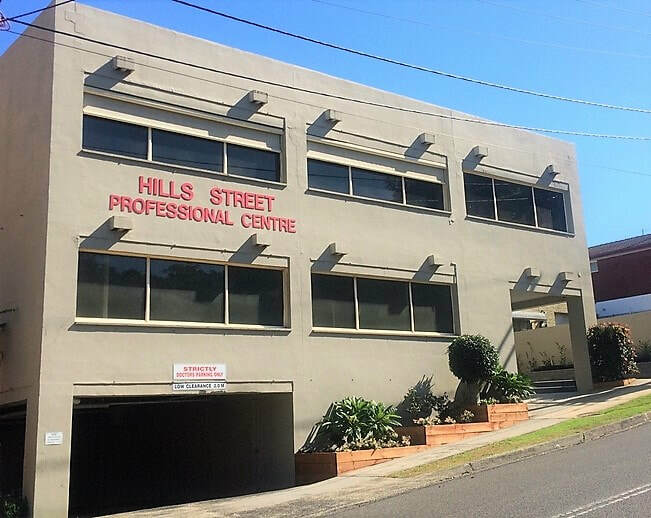 Electronic gates (open only during Hills Street Professional Centre business hours) ensure a car parking space is available for our patients' use. ​Check out our Links and Resources page for useful fact sheets, information guides and health tips. provided before the initial appointment). The welfare of your child is paramount. They must always be present at an appointment and we encourage open discourse about their medical care. ​Adolescents have the right to confidentiality and autonomy under best practice medical guidelines. ​Please read our Practice Policies page to ensure our medical service is appropriate for you and meets your expectations. To make an Appointment, your GP or Specialist referral needs to be faxed or emailed to us beforehand. This does not guarantee an appointment as your child may require a referral elsewhere for their medical care (eg Ear, Nose and Throat Surgeon, Child and Adolescent Psychiatrist, Gynaecologist, Gastroenterologist, etc). You will be informed should this be necessary. In order to provide fair and timely access for patient appointments, a Cancellation Fee will apply for appointments cancelled with less than 48 hours notice of the scheduled time. Please see our Practice Policies for further information. ​We reserve the right to transfer medical care elsewhere for repeated cancelling and rescheduling of appointments.